I’m ba-ack! Did you miss me? I was on vacation in the Outer Banks in North Carolina, USA for a week, enjoying the sunshine (we had FANTASTIC weather), the beach, and the quiet. And, I did a LOT of hooping. The first day I got down there was World Hoop Day aka WHD (Oct. 4, 2014) and my one year hoopiversary. After getting up at 3:20am and spending eight hours in the car, I got to celebrate both milestones on the beach! Luckily, it wasn’t too windy, but the tide was high, so I had to act fast. And I did get my 30/30 challenge in that day, as I did every day, for the week. 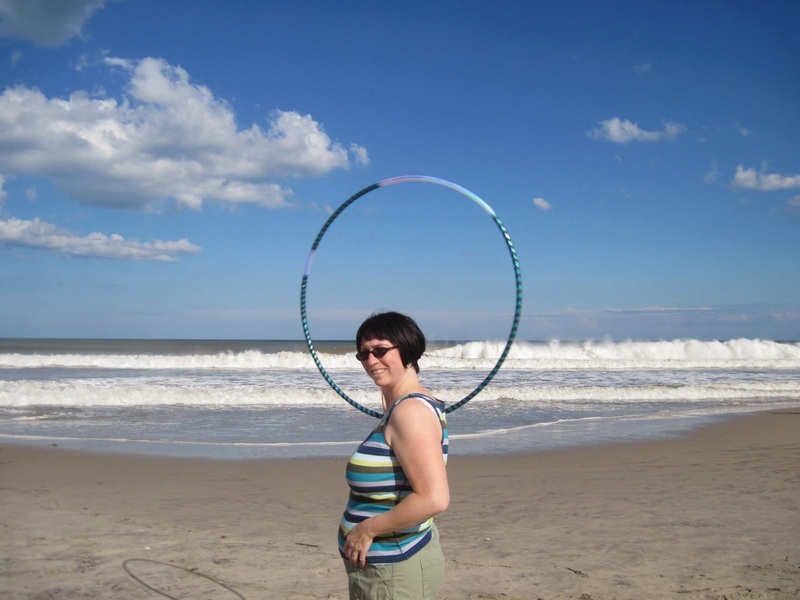 I even got in a video for WHD on the beach, which actually made it into Hooping.org’s Part 2 coverage of WHD. Woo hoo! All said and done, I’m glad I had a week off. Throughout this week, I will have more news and updates about other hoopiness in my life. If you are interested, though, here are a few more general photos of the week.